According to researchers at the University of California, San Francisco, sugar poses a health risk—contributing to around 35 million deaths globally each year. So high is its toxicity that it should now be considered a potentially toxic substance like alcohol and tobacco. Its link with the onset of diabetes is such that punitive regulations, such as a tax on all foods and drinks that contain “added’’ sugar, are now warranted, the researchers concluded. They also recommend banning sales in or near schools, as well as placing age limits on the sale of such products. Sugar does not stop at diabetes, metabolic syndrome, hyper- and hypoglycemia, GERD and heart disease. Sugar and cancer are locked in a death grip yet oncologists often fail to do what’s necessary to stop their patients from feeding their cancers with sweets. 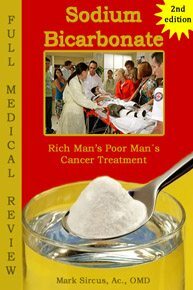 But mainstream medicine insists on promoting the belief that the link between certain types of food with an increased risk of cancer is “weak” or only “nominally significant.” They believe that research “linking foodstuffs to cancer reveals no valid medical patterns.” We find such superficial attitudes promoted in the medical press—all of which lack any kind of medical depth. An increasing number of medical scientists and many alternative practitioners know that the most logical, effective, safe, necessary and inexpensive way to treat cancer is to cut off the supply of food to tumors and cancer cells, starving them with a lack of glucose. The therapeutic strategy for selective starvation of tumors by dietary modification is one of the principle forms of therapy that is necessary for cancer patients to win their war on cancer. Researchers at Huntsman Cancer Institute in Utah were one of the first to discover that sugar “feeds” tumors. The research published in the journal Proceedings of the National Academy of Sciences said, “It’s been known since 1923 that tumor cells use a lot more glucose than normal cells. Our research helps show how this process takes place, and how it might be stopped to control tumor growth,” says Don Ayer, Ph.D., a professor in the Department of Oncological Sciences at the University of Utah. Dr. Thomas Graeber, a professor of molecular and medical pharmacology, has investigated how the metabolism of glucose affects the biochemical signals present in cancer cells. 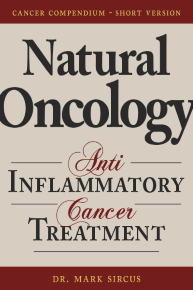 In research published June 26, 2012 in the journal Molecular Systems Biology, Graeber and his colleagues demonstrate that glucose starvation—that is, depriving cancer cells of glucose—activates a metabolic and signaling amplification loop that leads to cancer cell death as a result of the toxic accumulation of reactive oxygen species (ROS). Refined sugars are strongly linked to cancer, not only as a cause of it but also as something that feeds the cancer cells once a person has the disease—Nothing could be more important to consider in the attempt to improve the outcome of cancer treatments. The kinds of sugar so prevalent in today’s standard American diet lead to cancer directly by causing inflammation throughout the body but in some places more than others depending on the individual and their constitution. Listen to this video and hear how simple this all really is. Once cancer cells are established in the body, they depend on steady glucose availability in the blood for their energy; they are not able to metabolize significant amounts of fatty acids or ketone bodies, so they need sugar. Carbohydrates of one of the three macronutrients—the other two being fats and protein. There are simple carbohydrates and complex carbohydrates. Simple carbohydrates include sugars found naturally in foods such a fruits and fruit juices, sodas, some vegetables, white bread, white rice, pasta, milk and milk products, most snack foods, sweets, etc. But let us not forget the simple sugars added to foods during processing and refining that we may have no awareness of. It’s the simple sugars that get most of the credit for causing the insulin response and thus inflammation that can lead to cancer. Thus by reducing the amount of simple carbohydrates in the diet, the emergence of cancer can be suppressed or delayed, or the proliferation of already existing tumor cells can be slowed down, stopped and reversed by depriving the cancer cells of the food they need for survival. Eating white sugar (or white anything) causes magnesium mineral deficiencies because the magnesium has been removed in the processing, making sugar a ripe target as a major cause of cancer because deficiencies in magnesium are not only pro-inflammatory but also pro-cancer. High fructose corn syrup (HFCS) causes cancer in a unique way because much of it is contaminated with mercury due to the complex way it is made. High fructose corn syrup causes selenium deficiencies because the mercury in it binds with selenium, driving selenium levels downward. Selenium is crucial for glutathione production and its deficiency in soils tracks mathematically with cancer rates. Selenium and mercury are also eternal lovers having a strong affinity to bond with each other. Already touched on briefly, excess sugar spikes insulin levels and insulin’s eventual depletion. High insulin and insulin-like growth factor (IGF-1) are needed for the control of blood sugar levels that result from chronic ingestion of high-carbohydrate meals (like the typical American diet, that is full of grains and sugars). Increased insulin levels are pro-inflammatory and pro-cancer and can directly promote tumor cell proliferation via the insulin/ IGF-1 signaling pathway. When it comes to breast cancer, insulin is no friend. One of the biggest reasons is due to the fact that both normal breast cells and cancer cells have insulin receptors on them. When insulin attaches to its receptor, it has the same effect as when estrogen attaches to its receptor: it causes cells to start dividing. The higher your insulin levels are, the faster your breast cells will divide; the faster they divide, the higher your risk of breast cancer is and the faster any existing cancer cells will grow. There’s also another detriment that high insulin levels can inflict. It makes more estrogen available to attach to the estrogen receptors in breast tissue. Insulin regulates how much of the estrogen in your blood is available to attach to estrogen receptors in your breast tissue. When estrogen travels in the blood, it either travels alone seeking an estrogen receptor, or it travels with a partner, a protein binder, that prevents it from attaching to an estrogen receptor. Insulin regulates the number of protein binders in the blood. So, the higher your insulin levels are, the fewer the number of protein binders there will be and therefore the more free estrogen that will be available to attach to estrogen receptors. In other words, when your insulin levels are up, free-estrogen levels are up, and both of them speed up cell division. That’s why high insulin levels increase your risk of breast cancer so much. Eating sugar increases your risk of breast cancer in another way. It delivers a major blow to your immune system with the force of a prizefighter. Dr. Horner talks about a study conducted by Harvard Medical School (2004) that found that women who, as teenagers, ate high-glycemic foods that increased their blood glucose levels had a higher incidence of breast cancer later in life. “So, encouraging your teenage daughter to cut back on sugar will help her to lower her risk of breast cancer for the rest of her life,” she said. The entire subject of inflammation, angiogenesis, sugar and cancer is crucial to understanding the links between cancer and the foods we eat and is covered separately in the following chapter. When we begin to zero in on inflammation and the acid conditions caused by excessive consumption of simple sugars, including fructose and high-fructose corn syrup, we begin to see more clearly how food and cancer are intimately connected. In July 2012 a leading U.S. cancer lobby group urged the surgeon general to conduct a sweeping study of the impact of sugar-sweetened beverages on consumer health, saying such drinks play a major role in the nation’s obesity crisis and require a U.S. action plan. In a letter to U.S. Health Secretary Kathleen Sebelius, the American Cancer Society’s advocacy affiliate called for a comprehensive review along the lines of the U.S. top doctor’s landmark report on the dangers of smoking in 1964. 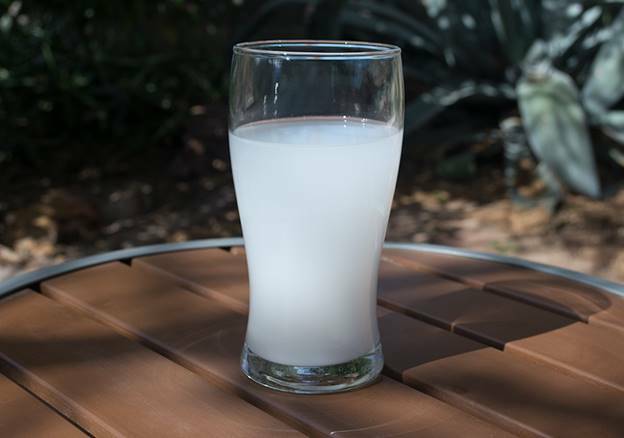 The ruckus is about the growing connection between high sugar intake, mineral depletion, dehydration, diabetes, heart disease and cancer. Sugar causes cancer because the tendency of high-carbohydrate consumers tends toward dehydration, which is pro-inflammatory and thus pro-cancer. 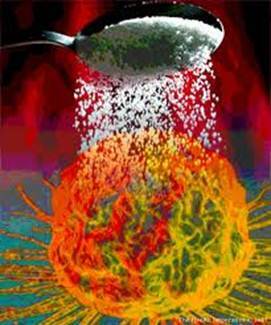 Pancreatic cancer cells use the sugar fructose to help tumors grow more quickly. Tumor cells fed both glucose and fructose used the two sugars in two different ways, a team at the University of California Los Angeles found. Their findings, published in the journal Cancer Research, helps explain other studies that have linked fructose intake with pancreatic cancer, one of the deadliest cancer types. Researchers concluded that anyone wishing to curb their cancer risk should start by reducing the amount of sugar they eat. It has been known for decades that cancer cells thrive on glucose. Moreover, foods that cause a sharp rise in blood glucose (i.e. foods with a high-glycemic index ranking) trigger the secretion of insulin and insulin growth factor (IGF-1), two hormones that also promote cancer growth. Researchers using rats have found that a low-carbohydrate high-protein diet reduces blood glucose, insulin, and glycolysis, slows tumor growth, reduces tumor incidence, and works additively with existing therapies without weight loss or kidney failure. Such a diet, therefore, has the potential of being both a novel cancer prophylactic and treatment. Dr. Otto Warburg’s 1924 paper, “On metabolism of tumors,” stated, “Summarized in a few words, the prime cause of cancer is the replacement of the respiration of oxygen in normal body cells by a fermentation of sugar.” If you’ve ever made wine, you’ll know that fermentation requires sugar. The metabolism of cancer is approximately eight times greater than the metabolism of normal cells. Doctors have known for a long time that cancer metabolizes much differently than normal cells. Normal cells need oxygen. Cancer cells despise oxygen. Warburg’s hypothesis was of course that cancer growth was caused when cancer cells converted glucose into energy without using oxygen. Healthy cells make energy by converting pyruvate and oxygen. The pyruvate is oxidized within a healthy cell’s mitochondria, and Warburg theorized that since cancer cells don’t oxidize pyruvate, cancer must be considered a mitochondrial dysfunction. 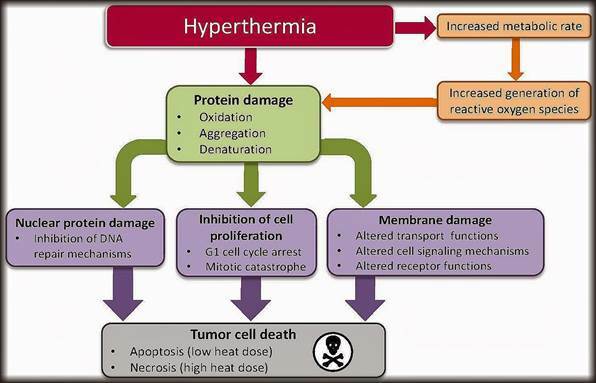 Most, if not all, tumor cells have a high demand on glucose compared to benign cells of the same tissue and conduct glycolysis even in the presence of oxygen (the Warburg effect). In addition, many cancer cells express insulin receptors (IRs) and show hyperactivation of the IGF1R-IR (IGF-1 receptor/ insulin receptor) pathway. Evidence exists that chronically elevated blood glucose, insulin and IGF-1 levels facilitate tumor genesis and worsen the outcome in cancer patients. Treating diabetic patients, A. Braunstein observed in 1921 that in those who developed cancer, glucose secretion in the urine disappeared. One year later, R. Bierich described the remarkable accumulation of lactate in the micromilieu of tumor tissues and demonstrated lactate to be essential for invasion of melanoma cells into the surrounding tissue. 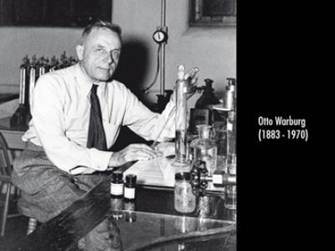 One year after that Warburg began his experiments that eventually ended for him with a Nobel Prize. Sugar turns the body into a suitable breeding ground for viruses, bacteria, fungi and cancer by devastating the immune system. 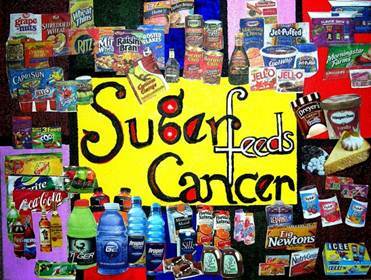 Knowing that one’s cancer needs sugar, does it make sense to feed it sugar? Does it make sense to have a high-carbohydrate diet? Of the four million cancer patients being treated in America today, hardly any are offered any scientifically guided nutrition therapy beyond being told to “just eat good foods.” Oncologists have no shame about this, insisting that diet has little to do with cancer. Cancer patients should not be feeding their cancers like they would feed cotton candy to their grandchildren. As long as this cancer cell can get a regular supply of sugar—or glucose—it lives and thrives longer than it should. Now imagine oncologists getting enlightened and they start to advise their patients to starve the cancer instead of bombing it to smithereens with chemotherapy and radiation treatments all the while feeding the cancer with sugar! Ketone bodies, also called acetone bodies or simply ketones, are any of three compounds produced when the liver metabolizes fatty acids. 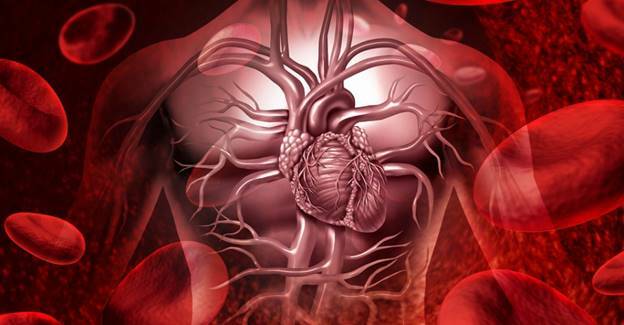 The three types of ketone bodies—acetoacetic acid, beta-hydroxybutyric acid, and acetone —are released into the bloodstream after metabolism occurs. Acetoacetic acid and beta-hydroxybutyric acid are used for fuel by the brain and muscles, but the body can’t break down acetone and therefore excretes it in the urine. Excess acetone or ketone bodies in the blood and urine can be a sign of a serious metabolic disease, and doctors often use the measurement of ketone bodies as a tool in the diagnosis of such diseases. In healthy individuals, the body uses mostly carbohydrate metabolism to fuel its cells. If sufficient carbohydrates are not available, such as during starvation, the body begins metabolizing fats into ketone bodies to provide the necessary fuel. High levels of ketones in the urine, a condition called ketonuria, indicates that the body is using mostly fat for its energy. A condition that will produce dangerously high levels of ketone bodies is Type I diabetes. Individuals with diabetes mellitus are unable to efficiently metabolize glucose, due to insufficient insulin production or insulin resistance. Their bodies will begin metabolizing fats and proteins to make up for the lack of available glucose for energy. Without treatment, extremely high levels of ketones in the blood and urine can lower the blood’s pH and cause a condition called ketoacidosis. 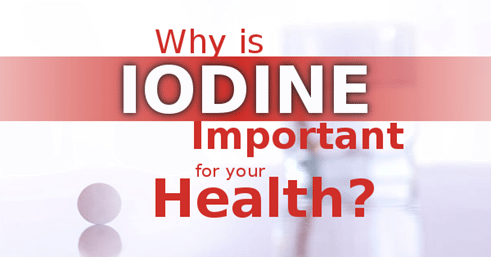 It occurs most often in people with uncontrolled diabetes mellitus and is exacerbated when high blood glucose levels, caused by lack of available insulin, further acidify the blood. Ketoacidosis can lead to ketoacidic coma or death.